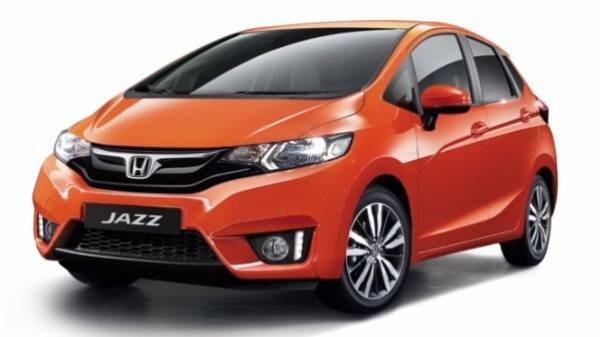 The new Honda Jazz is packed full of surprises so you and your family can drive happy! With 5 different grades to choose from, you can choose a Jazz that will fulfil all your driving needs. 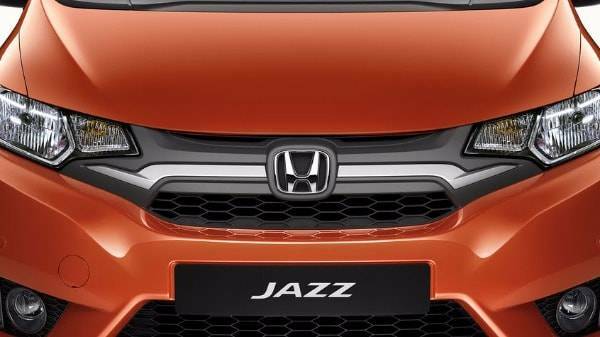 Pick from 8 vibrant colours, and create a Jazz that will capture attention when driving around the city! Both inside and out has been revitalised with fancy new features that make it look smart and drive even better. The new sportier design has been built with performance in mind; with a new face, bold front grille, strong sweeping lines and sculpted bumpers, this city car is definitely one of the sportiest looking in its class. The sporty stance has a much lower profile than before, and the Jazz’s chassis also has an improved centre of gravity. Keeping the classic silhouette, yet a stronger tougher looking design Honda has extended the chassis to improve leg space for rear-seat passengers. 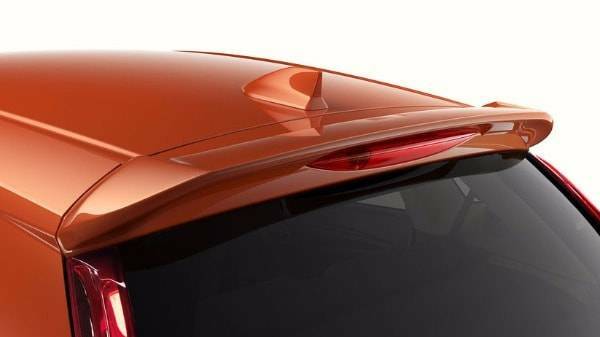 Every curve and arch has been ergonomically designed to improve handling and fuel efficiency- what more could you want? 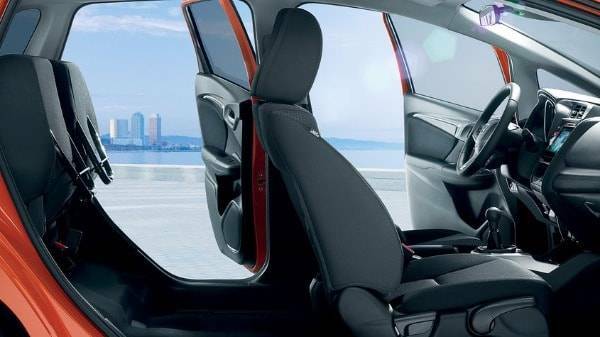 Deceptively spacious inside, this city car is comfy and compact with everything you need at your fingertips. Sit behind the wheel and you’ll instantly feel at home. The dials and controls are clear and easy to read and are all built from premium quality materials. 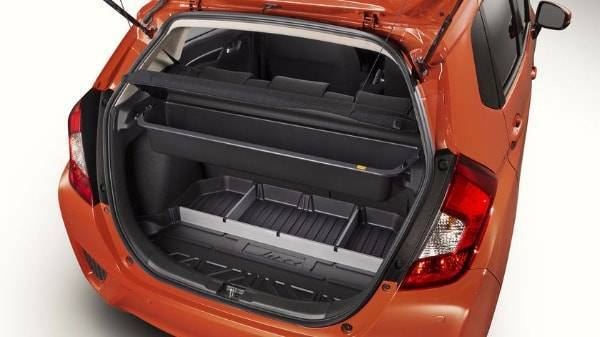 The Jazz provides plenty of boot space and the seats which, when folded down almost disappear. The car is very flexible and includes seats that can be arranged in 180 different ways. The size of the vehicle means manoeuvring is easy and you can fit into the tightest of spaces. The handy Eco Assist will tell you when you are driving well when you could improve and helps you achieve better fuel economy. The car also features ABS brakes, Electronic Brake-force Assist and Brake Assist. Stay connected with new Honda Connect technology. Available on the SE and EX grade, this central touchscreen allows you to access your music, contacts and photos. Connect your phone via Bluetooth and you can personalise the 7” touchscreen with your favourite photos. The AHA app gives you access to plenty of radio stations and social media with a touch of a button. Quality technology comes as standard, featuring steering wheel remote audio controls, electric adjustable door mirrors and cruise control. 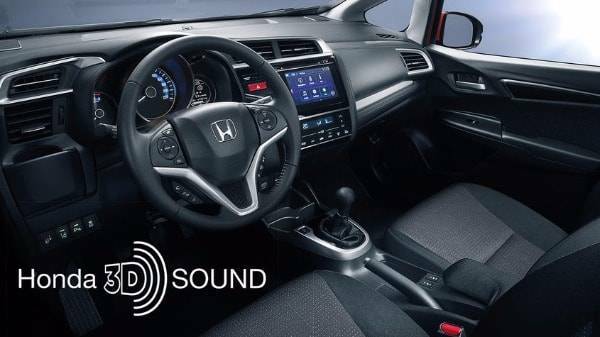 You’ll feel secure and confident with Honda’s new safety features that have been packed into this car. The High beam Support System assesses the present driving conditions around you, automatically switching between high and low beam (on all grades except S). Airbags are fitted everywhere including curtain airbags and are referred to as the Supplemental Restraint System, these airbags provide you with better protection on the road. In addition to this, there is an Intelligent Speed Limiter which uses information from the Traffic Sign Recognition to allow the driver to set a speed limit. The vehicle stability assist monitors the car's grip as you drive, and calculates the amount of power/braking force needed for maximum control and stabilising. 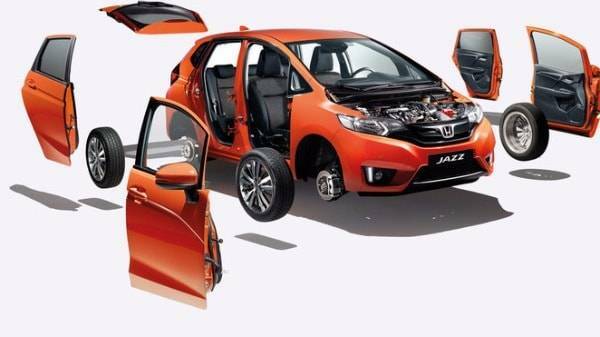 The Jazz performs on top with fuel efficiency! The economical performer delivers up to 61.4 mpg, so you can spend less at the fuel pump. Choose between a manual 6-speed and an advanced Continuously Variable Transmission (CVT) automatic gear box. No matter what you choose, you’ll enjoy a gentle ride that uses less fuel. 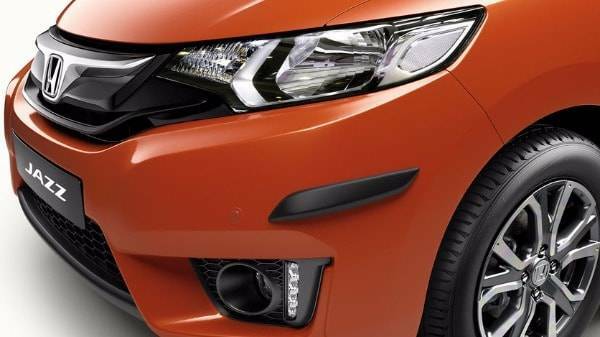 Equipped with Honda’s efficient 1.3 litre i-VTEC engine that can produce an impressive 102PS, it contains the new Earth Dreams Technology - something that Honda have given to their next generation of cars. This technology boosts performance whilst reducing environmental impact at the same time. To test drive this magnificent city car, head down to one of our Honda dealerships situated in Weston-super-Mare or Taunton, where our knowledgeable team will be able to guide you through the process. They’ll also be able to tell you about our current Honda leasing deals, including personal lease, contract hire and business fleet. We look forward to seeing you!